Dr. Lin's Sacramento-area office is convenient and staffed with friendly professionals. Please contact NeuGenesis Plastic Surgery with any questions. Below we will post commonly requested information about office procedures, payments and more. Please download, print and fill out the following form before arriving at your initial consultation with Dr. Lin. We believe in easy access to care for those in need of reconstructive plastic surgery and hand surgery. We therefore accept a wide variety of HMO, PPO and other common insurance plans, including Medicare. Reconstructive surgery is generally covered by most health insurance policies, although coverage for specific procedures may vary greatly. Common reconstructive procedures performed include: repair of acute injuries to the face and hand, breast reconstruction after cancer treatment, skin and hand tumor excision and reconstruction, carpal tunnel and other nerve entrapment release, and tendinitis and arthritis treatment Our office will work with you and your insurance company closely to facilitate the reimbursement process. Procedures such as breast reduction, removing benign skin lesions and contouring abdominal skin after weight loss (panniculectomy) may be covered by insurance under special circumstances. If the underlying condition significantly inhibits the patient's health or activities of daily living, then some insurance carriers are willing to cover the procedure. The approval process is often time consuming. Initial denials are frequent, and some plans may deny coverage altogether, even after a "pre-approval". Patients requesting the above procedures must be prepared to cover the costs of surgery if insurance fails to reimburse. All anticipated costs will be clearly outlined prior to scheduling surgery. Cosmetic surgery is not covered by health insurance and requires payment in advance by the patient. 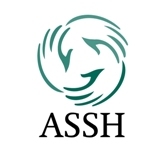 All fees for surgery, anesthesia, and operating room facilities will be clearly outlined. Payment is due in full two weeks prior to the scheduled surgery date. Payment plans and financing are available through Care Credit. Is Dr. Lin a board certified plastic surgeon? Yes. 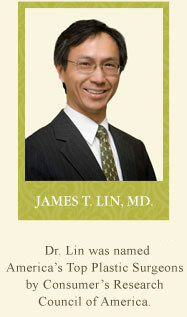 Dr. Lin is certified by the American Board of Plastic Surgery. How long has Dr. Lin been practicing plastic surgery? Dr. Lin has been operating since 1989. He has been board certified in Plastic Surgery since 1999. Where does Dr. Lin perform his surgeries? Dr. Lin performs surgical and non-surgical procedures in his office, at Methodist Hospital-Sacramento, and Methodist's fully accredited Out-patient ambulatory surgery center. See our Facilities page for more information. What is the recovery time for breast augmentation surgery? Everyone responds to pain differently. Most people will take off 2 to 4 weeks from work. What is the difference between silicone implant and saline implant? They have different textures and behave differently when they rupture. Each kind of implant has pros and cons. Please check www.mentorcorp.com for further detail. Does Dr. Lin have before and after pictures? Yes. Pre-op and post-op pictures can be shown upon request. To respect their privacy, Dr. Lin prefers that his patients’ pictures are not shown on his website for the world to see. Do I need to lose weight before breast reduction or tummy tuck? It is always good to reach ideal weight before breast reduction or tummy tuck (abdominoplasty). But Dr. Lin understands that we do not live in the ideal world. Yes, surgery is still possible when one does not have ideal BMI (basal metabolic index). However, surgical complication rate may increase when one has excess weight. Some people may need another surgery when they finally reach the ideal weight, because they realize there is excess loose skin. What’s the difference between tummy tuck and mini-tummy tuck? A mini-tummy tuck removes approximately 50% of hypogastric (below belly-button.) tissue. Mini-tummy tuck does not surgically alter the location of umbilicus (belly-button.) On the other, full-tummy tuck surgically separates umbilicus and removes 100% of hypogastric tissue. Umbilicus needs to be brought out from skin after epigastric (above belly-button) tissue is pulled down. Please check our Procedures page for further information. Can I get a breast lift without getting a breast reduction? Yes. Breasts can be lifted by removing excess skin without sacrificing underlying breast tissue. A breast lift will maintain current breast volume. How much are cosmetic surgery consultations with Dr. Lin? Does the fee for the cosmetic consultation go towards the total surgery cost? Yes. The full amount of your consultation fee will be applied towards the total surgery cost. How much is breast augmentation surgery? The cost varies according to the type of implants used. It is usually between $5,400 to $6,400.